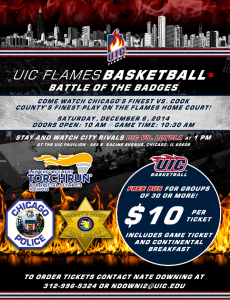 The Chicago Police Department will be playing basketball versus the Cook County Sheriff’s Office at the UIC Pavillion. Come see the two police departments battle it out on the court. Then stay to watch Chicago rivals UIC vs Loyola.